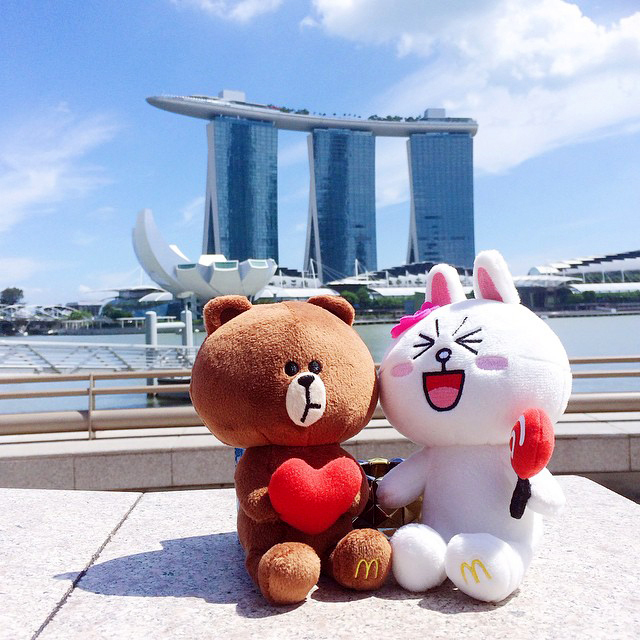 Everyone around me knows that I'm in love with Brown and Cony from the Line app. Already got myself plushies of Cony, Brown, Sally, Moon but I knew I still wanted the entire set when Mcdonalds launched their Line Character toys! 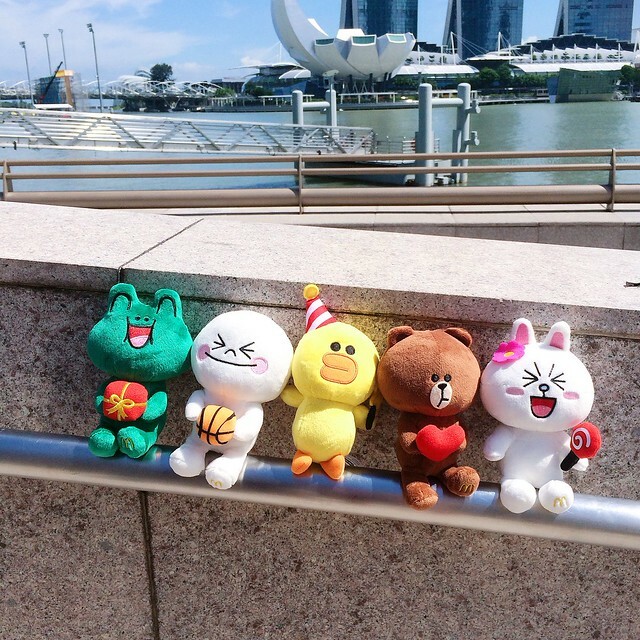 Brought them out and recreated the Brown/Cony sticker with Marina Bay Sands background. hehe. They are so adorable! My fave is Cony, followed by Brown and Sally. Only bought the Moon and Leonard because they are in the set and Moon does look quite cute here. Love the line chat app! Lots of exaggerating stickers to use. Me and my friends always use the app to chat and had fun expressing ourselves using the stickers! Some of the conversations between me and bf are also on my dayre: www.dayre.me/estherxie. Follow me if you haven't! Hehe! 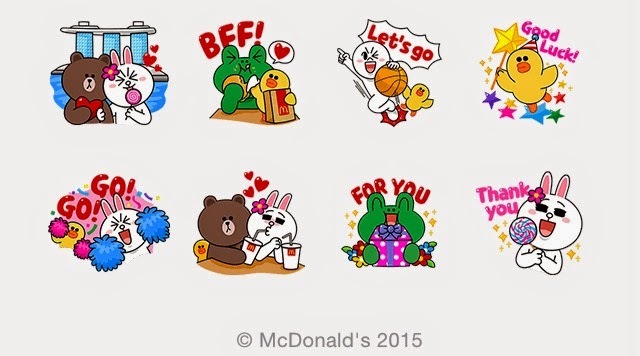 Didn't know you know line characters also!